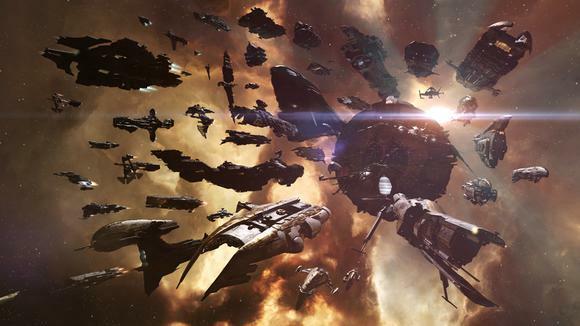 EVE Online is a game predicated upon giving players power. It's a massive, universe-sized sandbox that's spent twelve years building a reputation off the backs of its players—either the most dedicated or most insane in the world, depending on your viewpoint. Unlike World of Warcraft or Star Wars: The Old Republic or Elder Scrolls Online, EVE can't be divorced from its players. 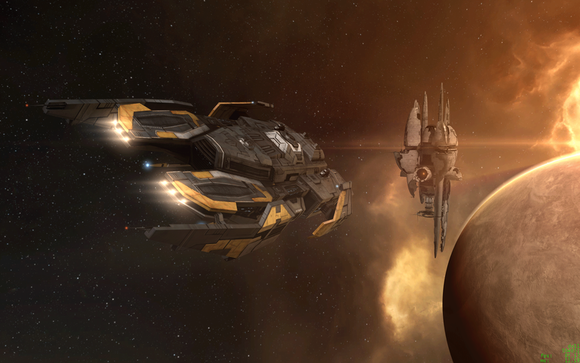 What little solo content exists in EVE feels almost like an afterthought. It's the barest of excuses to steer people toward the player-driven side of the game, which encompasses everything from massive battles to corporate diplomacy to assembling ships that price out at thousands of dollars apiece—a value that can be devised only because of EVE's equally complex player-driven economy. And now CCP is allowing players even more power to affect the game, giving it what EVE Executive Producer Andie Nordgren (CCP Seagull) termed "more granularity." There are two key facets to EVE's latest vision, which the company unveiled at EVE Fanfest 2015: Ship skins and player-built structures. That first is pretty straightforward. EVE players will now be able to skin their ships to look more unique, expanding a test program from last year. 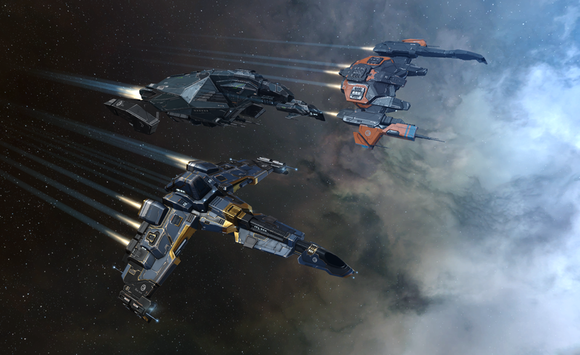 CCP revealed 102 new designs at Fanfest. And I do mean revealed 102 designs—there were like, sixty different slides shown as part of the keynote. 102 skins is just the beginning. I confirmed with CCP that player-submitted skins and other forms of customization are also in the works, though there's no definite roadmap for if or when future features might make it out to the general playerbase. The other big reveal this year is player-built structures, and it's poised to totally change the way people play EVE. Up until now, EVE has been a ship-based game. And it still will be. That's not going away. 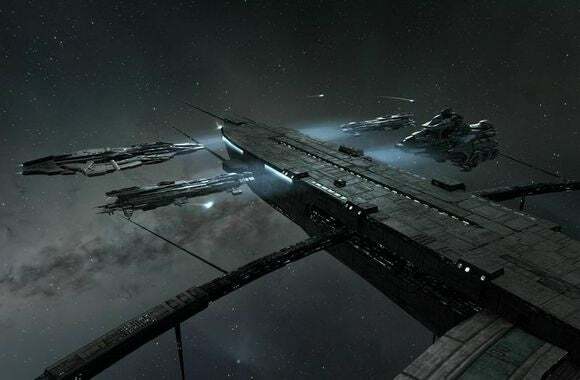 But CCP is adding a new system on top—one that Nordgren hopes will lead to all sorts of new player-driven insanity, like entire cities of EVE players, built by EVE players. "Right now we have a pretty small set of structures players can build, and it's extremely restricted where you can build them and what they can do," said Nordgren. "We're trying to turn structures into something on par with ships, where you have a huge variety of stuff you can build and you can build structures any place in the universe. It's going from a very limited, specific system to a full-blown, open-ended sandbox system." 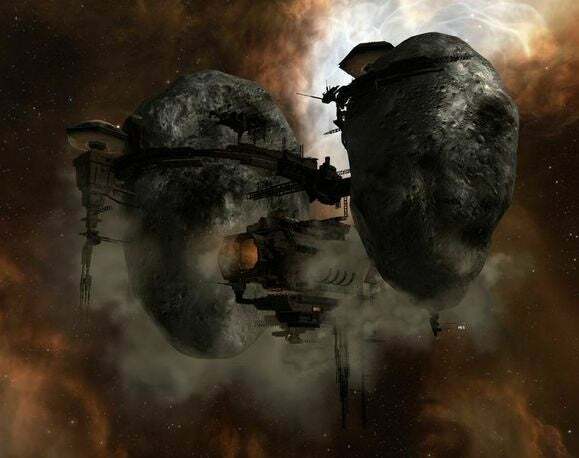 Starting in an upcoming update, EVE players will be able to construct their own administration hubs, observatories (for intel/counterintel), research laboratories, and more—and they'll be able to build these structures basically anywhere, because CCP's removed the majority of its location restrictions (though some will stay in place to ensure players don't, for instance, clump around gates and make it impossible to invade). "War in EVE should start looking more like war in the real world, in a sense, where if you go after infrastructure it matters. If you take down communication networks or bomb factories, it matters for your opponent," said Nordgren. "We really imagine a solar system could be able to look completely different based on who's there and what they've built." As I said, it totally changes the way the game plays, adding yet another layer on top of the already insanely complicated industrial and supply logistics foundation of the game. "What I want is for us to put changes out there where we don't know what's going to happen," said Nordgren. "Where the outcomes are unpredictable enough there's an element of strategy and decision-making where the players are playing against each other—not in some predetermined way we've come up with." "World-shaping capabilities are really going to be tied to structures where players get to impact the actual rules of the universe, in a sense. We're still going to control what's possible, of course, but we want structures to be the entry point to where players start to impact much more." But that's only important if you're a longtime EVE player. For years now CCP has been adding features onto EVE Online and, frankly, compounding a problematic reputation the game already had basically from the start—that it's actively hostile to newcomers, thanks to a hellish tutorial and about a billion systems to learn. On the one hand, the game should be actively praised for containing so much depth it can basically be considered a living, breathing world in a way no other MMO has attained. There's a cost to that depth, though: It's intimidating. Luckily CCP seems to be addressing that side of the issue finally , with a new client and the beginnings of an overhauled tutorial. Starting soon the client will download only the baseline files needed to play EVE, streaming in new assets on the fly as players encounter them. "With the new much slimmer download, new players can be in space in as little as five minutes," said Nordgren during the EVE keynote. This new system is also allowing CCP to introduce high-resolution textures to the game—something that would've been storage-prohibitive before and ballooned the size of updates. But the biggest block to new EVE players has long been the tutorial. It's massive. It's wordy. It's overcomplicated. In February CCP began rolling out a new "Opportunities" tutorial system, and Nordgren gave me some stats: It replaces 78 niche steps (6,500 words of tutorial text) with seven broad "opportunities" at only 1,000 words total. These opportunities should help you learn to play EVE while also giving players more freedom—like, "Go try out mining" instead of walking you step-by-step through mining a specific asteroid. "Because the game is a lot about taking your own initiative, starting people off in that mindset is I think a better way to get people introduced to the game than telling people what to do," said Nordgren. "We give you a little bit of advice and off you go. It turns out that people can absolutely figure this stuff out." "You're not dumb for not figuring out what all the stuff is on the market. Figuring that out is the game." It's a lot of big, sweeping changes to parts of EVE Online that honestly seemed like they'd never change—and definitely not improve. I was intrigued enough to think momentarily, "Maybe I'll try learning EVE again." And then I thought, "Probably not. But...maybe." That's a lot closer to jumping into EVE than I've been in a long time.